When you just created a blogpost or landing page, you’ll be eager to share it with your followers directly. But each social network has its specific characteristics to optimize a post. 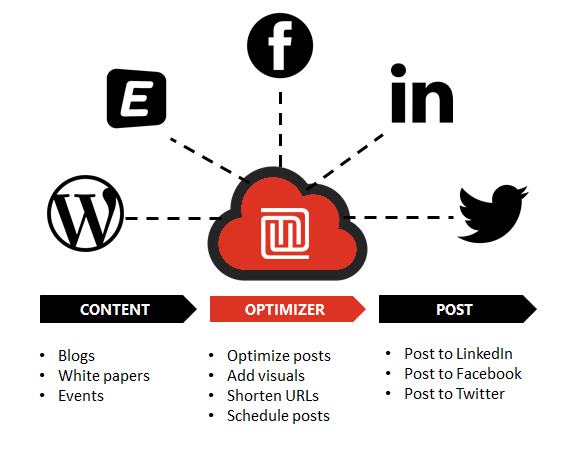 Use the Manceppo Social Poster to create, schedule and optimize posts per social network. But your WordPress blog is also a goldmine of reusable content, just waiting to be shared again with the followers on your social media accounts. Use the Manceppo Social Poster to repurpose the content you created in WordPress on your favorite social networks. Manceppo prepares your LinkedIn updates, Facebook posts and Tweets. But you are in the driver seat to optimize and tweak them before you hit the post-button!